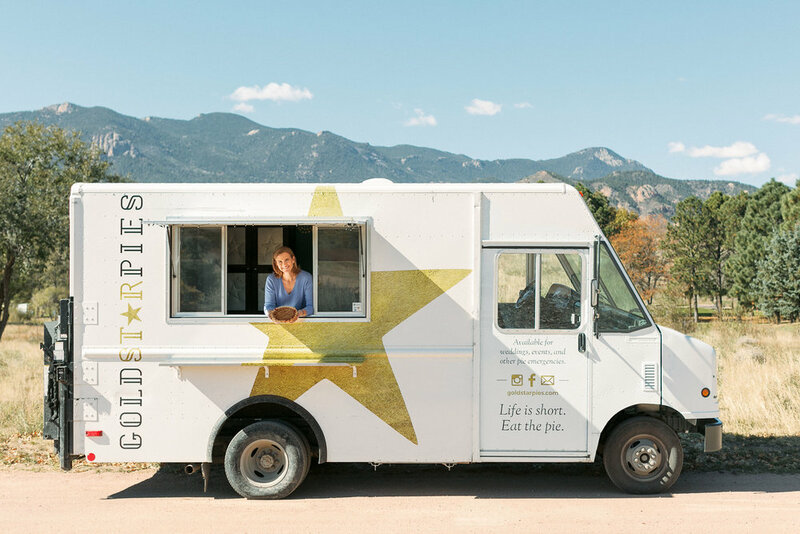 Gold Star Pies is a unique food truck selling slices of homemade artisan sweet pie and locally roasted coffee to our Colorado Springs community. My pies are flavorful, hand-rolled, and inspired by local produce, delicious cocktails, midwestern farmers, southern cooks, and big city pie shops. The truck is available to reserve for private events such as weddings, parties, and school socials, or I can be found on downtown street corners, public events, or basking at a park in the Colorado Springs area. Don't be left out of the fun! Sign up for our mailing list to receive a monthly newsletter with information on upcoming events, classes and seasonal pies.